Companies are forced to constantly adapt and change. Internationalisation and growing competition are presenting them with new challenges. Customers demand new services - partners and suppliers demand new interfaces. Using digital technologies is more than just an option. Rather, it is a must to prepare and qualify employees. Changes are associated with risks and uncertainty. The result is resistance and obstacles in the workforce. Sensitising employees is one of the most important prerequisites for successful transformation. 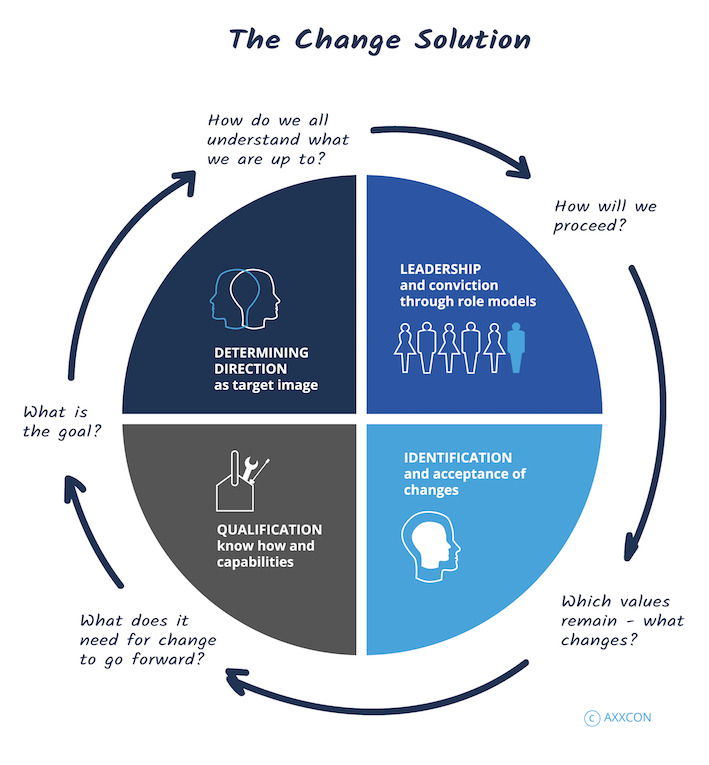 Change management describes the social component when it comes to managing corporate transformations. The central task is to create the acceptance of changes and to anchor the willingness for new in the corporate culture. This requires new patterns of behaviour and new ways of thinking. Active change management solves and prevents uncertainties, blockages and defensive attitudes among employees. Detect resistance at an early stage. Involve employees and become active at all levels. It pays off. The success of large projects depends above all on the willingness of the employees concerned to change. Daily tasks, processes, structures and the associated role profiles are changing. Now it is important to give employees security and trust. Their early involvement and clear communication of the change are among the most important points on your to-do list. Changes are not one-off events. Companies must be able to change constantly and react quickly to new market requirements. Agile and flexible change management must become part of the corporate culture. If innovation and willingness to change are promoted, future projects meet with approval and can be implemented more quickly. Specialised in change tasks, we also know their biggest hurdles. Success stands and falls with the acceptance of those who support it. Our focus is above all on making strategies feasible and comprehensible. We act in a solution and implementation-oriented manner and are active where we have the greatest impact: right in the middle of it. Fiercely contested competitive markets dominate the consumer goods industry. 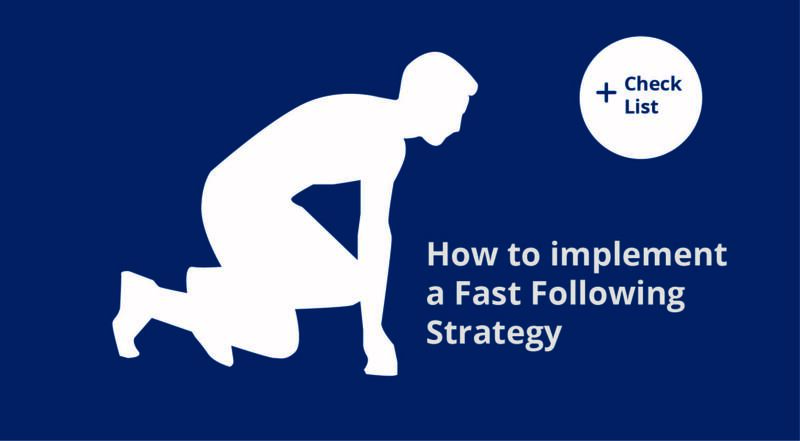 Despite strong growth in the market, a company for consumer goods is not successful in implementing the strategy of the “Fast Followers”, nor in minimising the gap with the market leader.